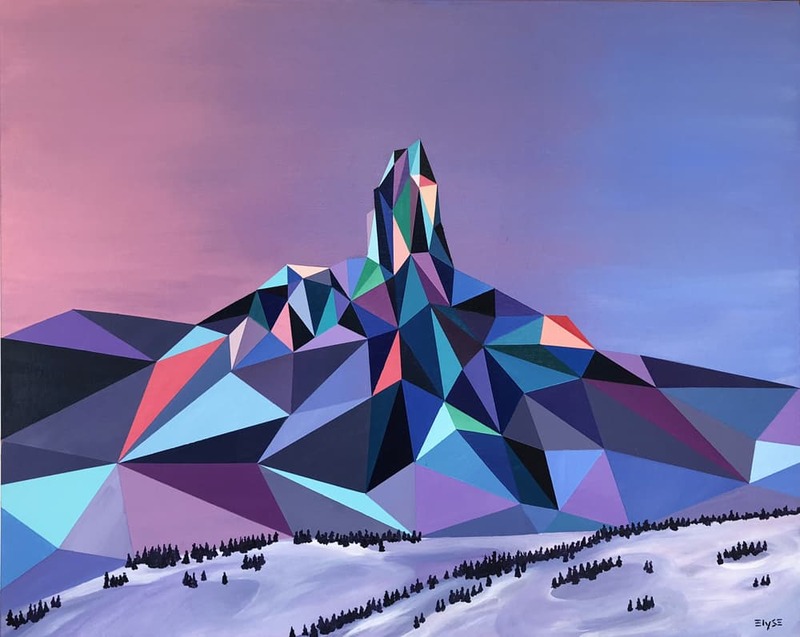 Vancouver-based Artist, Elyse Dodge, is best known for her bold use of colour in landscapes, exploring the connection between soft and hard forms, creating a distinctive visual language in her work. 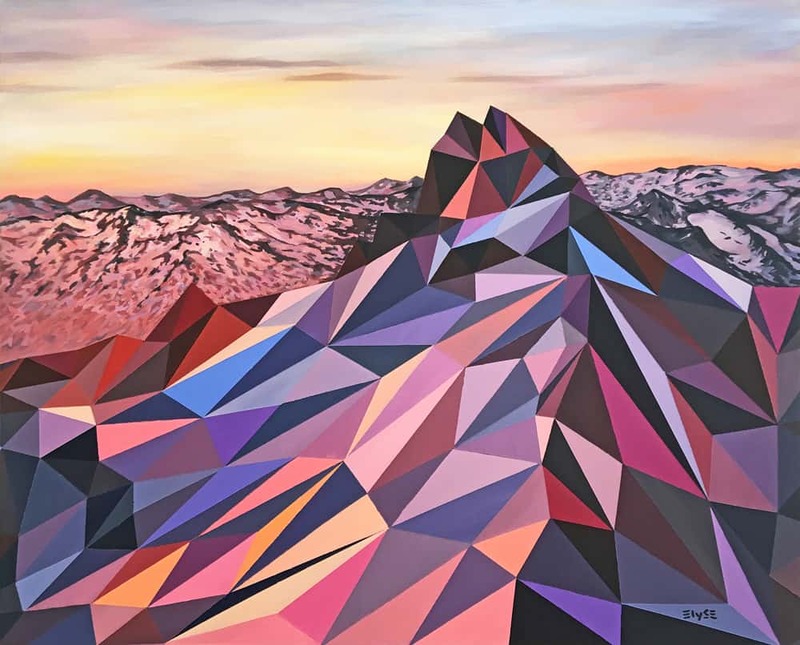 Elyse was raised in Kelowna, British Columbia, by an artist and a builder who taught her about craftsmanship and how to see her surroundings as shapes and colour. Still inspired by the scenery of the West Coast, Elyse’s work aims to capture the layers and textures of the views we see every day. 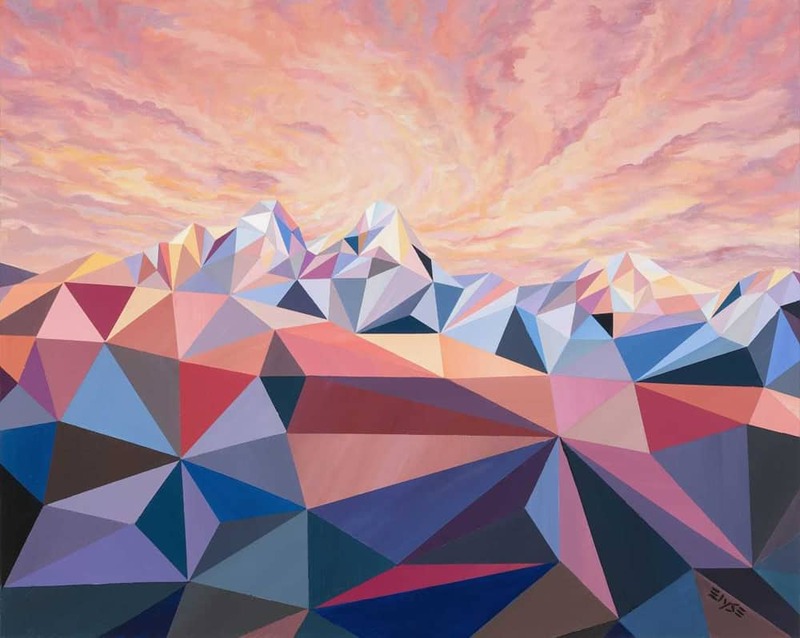 Elyse sees her work as deconstructed landscapes, focusing on the forms rather than on the subject matter. 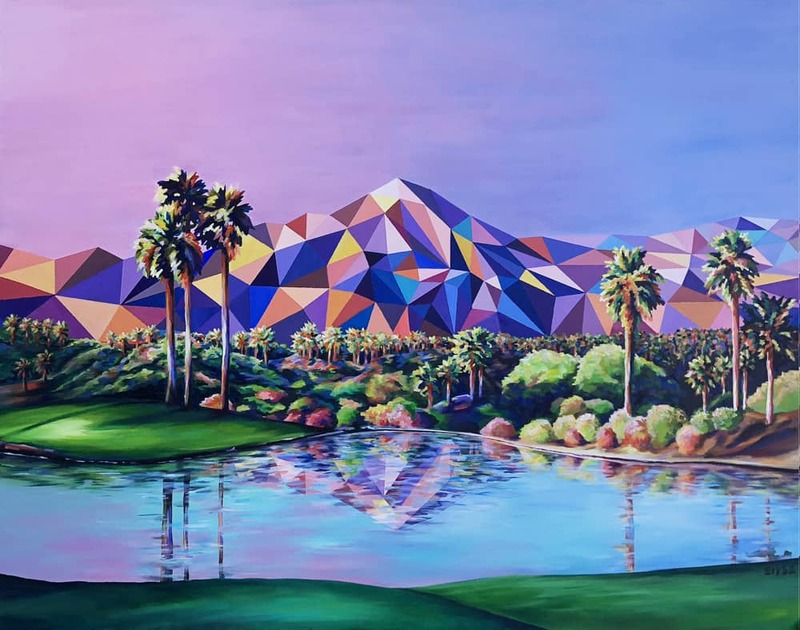 Using bright colour palettes and distortion – her work seamlessly blends the freedom of Impressionism with the precision of geometry. The work acts as a reminder that things are not always what they seem and that a whole exists only as the sum of its parts; each part is just as beautiful and integral as the full puzzle. 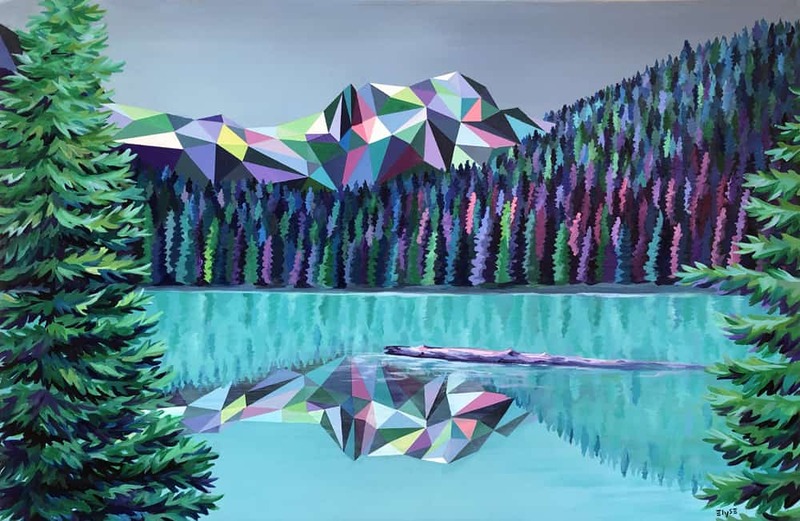 Elyse’s colourful original paintings and prints of polygonal landscapes are featured in the interiors of Canada’s most contemporary homes.